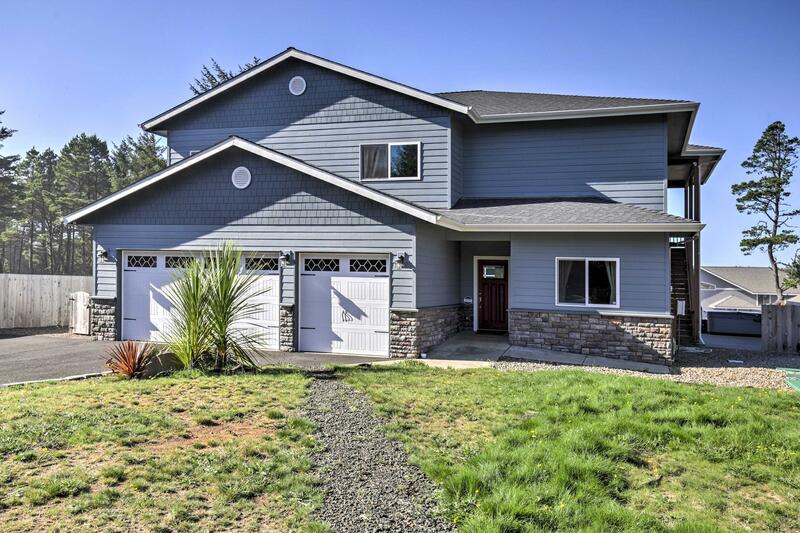 You'll be lucky to call yourself home in this gorgeous Oregon Coast custom home. The craftsman interior is designed with comfort and entertainment in mind featuring two spacious living areas with with gas fireplaces and large windows looking out to expansive ocean views.The kitchen is a chef's dream featuring stainless steel appliances and a large cooktop island with seating for four. On the upper level is a wet bar for those enjoying the sunsets from the spacious deck. Master Bedrooms on both levels plus two guest bedrooms and bunk room easily accommodate multi-generational families. Don't forget to enjoy starry nights in the hot tub. Successful Vacation Rental! Located just north of Newport,Beverly Beach State Park is just an .8 mile stroll to beautiful sandy beach!